In the cosmic dust and gas of interstellar space, it takes exactly the right conditions for a star to be born. It’s the same for stars in Nashville, and local, independent radio station Lightning 100 WRLT is a crucial element. The formula is consistent. First, artists are featured by Lightning 100 at events or in the 26-30 percent of the station’s on-air spins that spotlight local artists. Then, some of them go on to be signed by record labels and achieve a level of success many musicians only dream about. 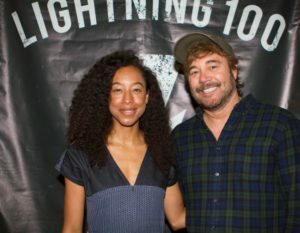 The station’s unique ability for churning out stars has more than a little to do with Lightning 100’s Vice President of Programming and Operations Gary Kraen. Kraen works hard to create a station culture – and a community – that nurtures local talent. When he took over programming, he wanted as many people at the station as possible identifying new music, so he made everyone on staff a music director. Last year alone, Lightning 100 spun music by local artists 27,000 times. Nationally-acclaimed artists including rock band Moon Taxi, boy band The Wild Feathers, new group Arlie, and solo artists Guthrie Brown and Anderson East were all featured by Lightning 100 on their way to becoming famous. 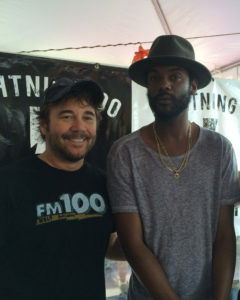 Musicians flock to Lightning 100 for a chance to have their songs played on the air. “Sometimes they bring a CD in literally on their finger – they don’t even put it in a case –because they’re so excited to get it to us,” Kraen said. When that happens, he diligently writes their name on the CD with a Sharpie. 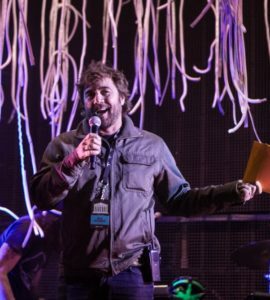 To get more artists out in front of the community, Kraen was a part of the team that helped create the free public music festival, Lightning 100’s Live on the Green, nine years ago. This year the event featured 36 artists, many of them local, and drew over 100,000 people to downtown Nashville. 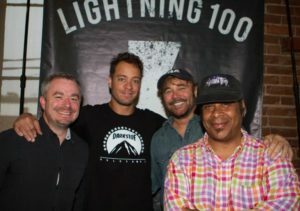 Lightning 100 gives some of the proceeds from Live on The Green to local charities. In total last year, the station helped raise $5 million for charities in Nashville and directly organizes or co-sponsors many charitable events. Even though Nashville has 1.7 million residents, it still has a small-town feel for Kraen. Maybe that’s because his station cultivates both community and local music. Not only is the station out in the community multiple times a week, it hosts a weekly songwriter night at a local venue, features local music on-air during dedicated shows, holds block parties and more. Impromptu concerts pop up in the station bringing artists together with anyone from record label representatives to DJs and station staff. Residents might see Lightning 100 as a friend, but record labels see Lightning 100 has a direct source for discovering musical talent. On top of these promotional efforts, Kraen said the station still spends $11,000 per month on music licensing, streaming, and other fees. That’s why he sees a performance fee, proposed in Congress and backed by some record labels as a way to get more royalties out of broadcasters, as excessive. Kraen explained that the station already pays for the work it takes to nurture musical artists and showcase their work, not to mention the station’s charitable contributions. “Then to have to pay more for a performance fee, that money is going to be taken away from the platforms that I have built, and that the station has built, to support artists,” Kraen explained. Kraen echoes the sentiments of broadcasters across the country who explain that artists already benefit from radio stations by getting free promotion and fans and record labels benefit by finding fresh talent. A performance fee would drain money from station budgets that otherwise would be spent for the benefit of communities and artists. Kraen also believes that radio is a unique medium. Sometimes people ask him to compare radio to online streaming, but he doesn’t think there is a comparison. “I hate they pit us against each other because it’s just two different experiences,” Kraen articulated. Aside from providing emergency broadcasts and getting the local news out, Kraen explained, radio connects people in a way streaming can’t do. As long as Lightning 100 is on the air, people in Nashville will have access to that experience. They might just see a shooting star.